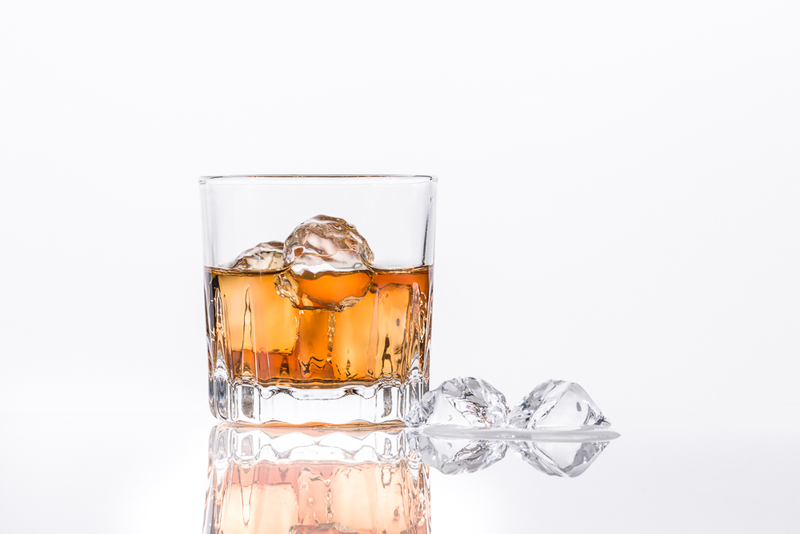 A glass of whiskey with ice on white plexiglass with a white background. A little retouching was done in photoshop. The lighting for the images was accomplished with 4 camera mounted flash units. Two units on each side of the subject pointed at a white background.